The genus of Thamnophis (garter snakes) belongs (together with amongst others the genus of Nerodia and the genus of Natrix) to the family of Colubridae and the subfamily Natricinae. The Group of garter snakes (Thamnophis spp.) 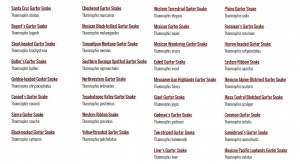 consists of a number of highly variable snakes that inhabit mostly moist and aquatic habitats and that live of aquatic prey, like fish, amphibians and worms. Some species are truly aquatic like Thamnophis atratus, T.eques, T.hammondii, T.melanogaster and T.rufipunctatus. Other species can live far from water removed and are far more terrestrial like Thamnophis elegans vagrans, T.e terrestris, T.ordinoides and (some subspecies) of T.sirtalis. 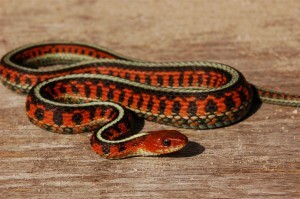 Approximately 34 different species have been described and recognized within the genus of Thamnophis. 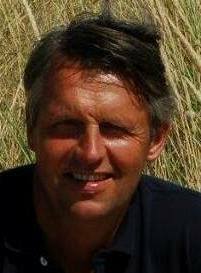 Every now and then new species are described. 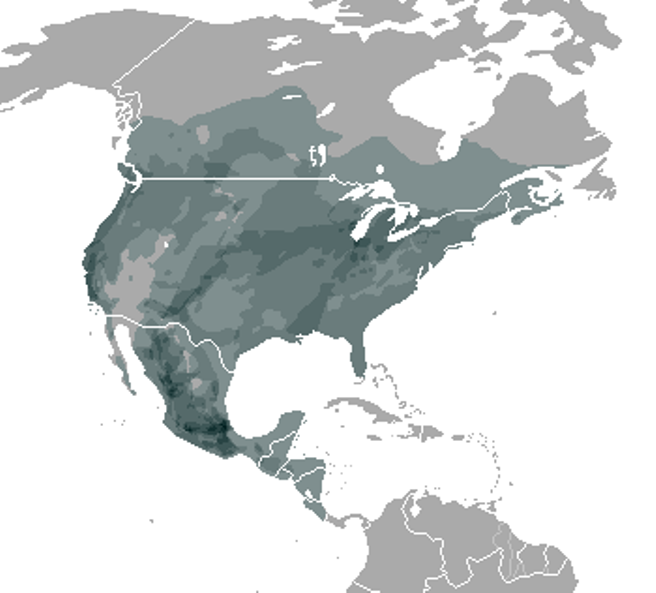 Garter snakes occur exclusively in North and Middle America but the focus of their distribution is Mexico, US and Canada. 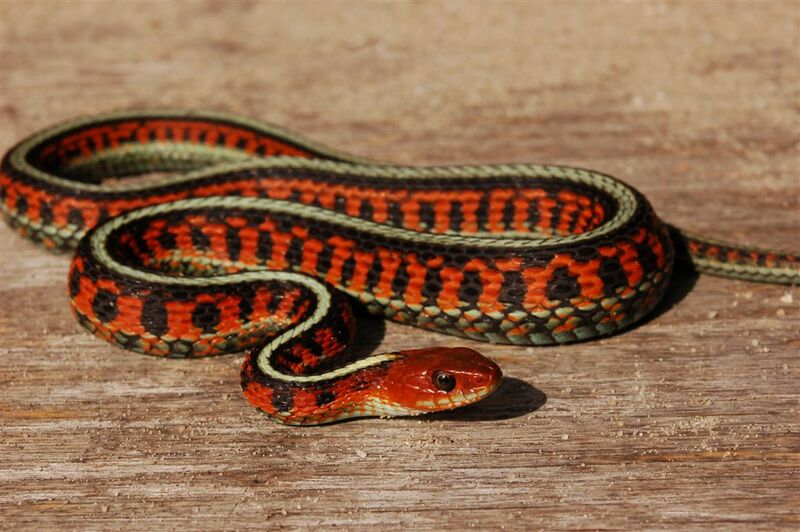 Thamnophis proximus occurs as far south as Costa Rica. They occur in many different habitats, from high elevation to sea level, and from dry semi-desert to swamps and lakes. 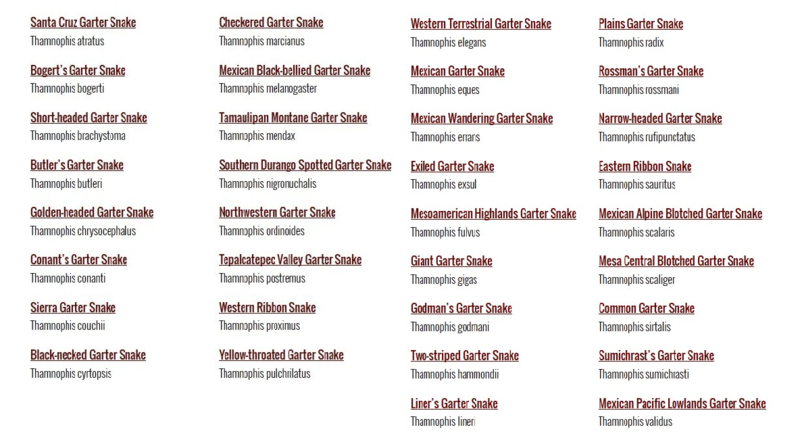 There is a big variation in size of the snakes within the genus of Thamnophis. Some species are considered as adult when they have reached 40-50 cm . Other species can easily grow over a meter. The largest species is Thamnophis gigas from California. This species can grow to approximately 160 cm.Some species are very slender and thin (like Thamnophis proximus and T.sauritus) whereas others like Thamnophis eques are more heavily build. As far as coloration and pattern is concerned there is a lot of variation. Many, but not all species have 3 conspicuous dorsal stripes. 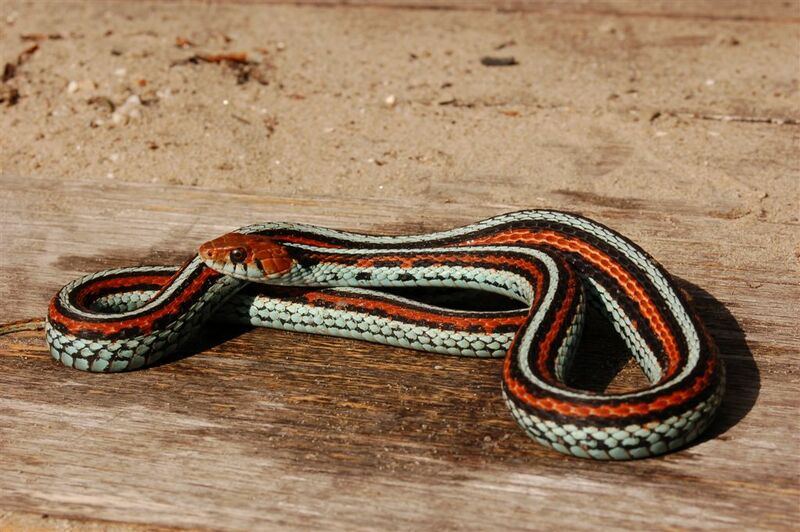 Many species have a very nice pattern and some have unusual bright coloration, often with yellow, black, red and blue. 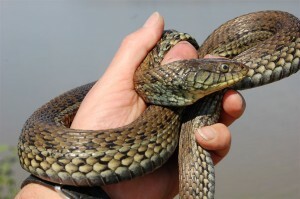 The most famous example is Thamnophis sirtalis tetrataenia.